While the secular world talks about “dry January”, Catholics attending the Old Rite were reminded that an altogether more fulfilling period of fasting and abstinence is shortly upon us. Septuagesima Sunday called for violet vestments and no Gloria – as Fr.Alldrit reminded us, the Gloria will now not be heard until the Easter vigil. A very good blog about is is here; my photos of the 49 people at the 830 Mass are somewhat less good, but hopefully they give an idea of the stability (and growth!) of the Bedford Mass. There’s a monthly recollection for ladies in Ampthill – it’s on a Tuesday, at 10am, in the house of one of the parishioners at Christ the King. Children are very welcome, and tea and biscuits are served! Bedford Latin Mass – carrying on through the snow! 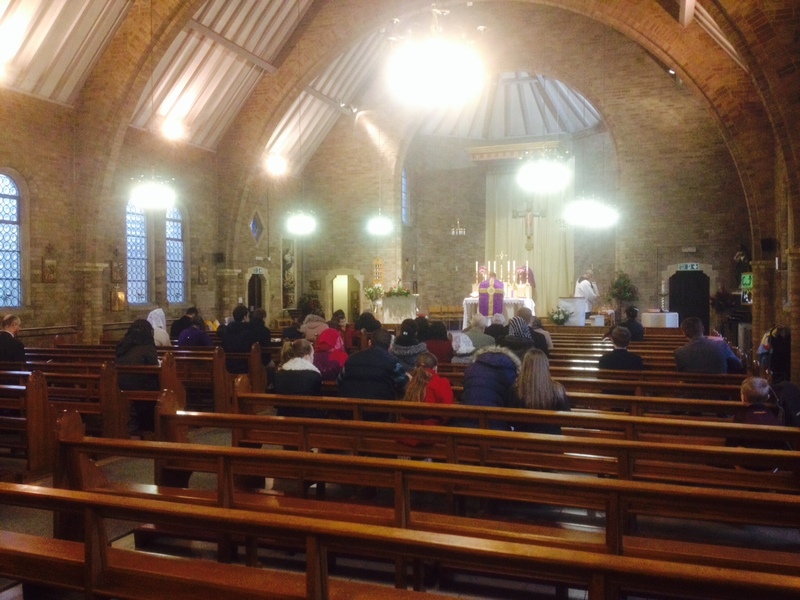 The inclement weather didn’t deter 40 or so hardy souls who came to hear Mass in Bedford last Sunday. Nor, thankfully, did it deter Fr. Crean, who kindly came down from Leicester to say the Dominican Rite. Below are photos of Fr. 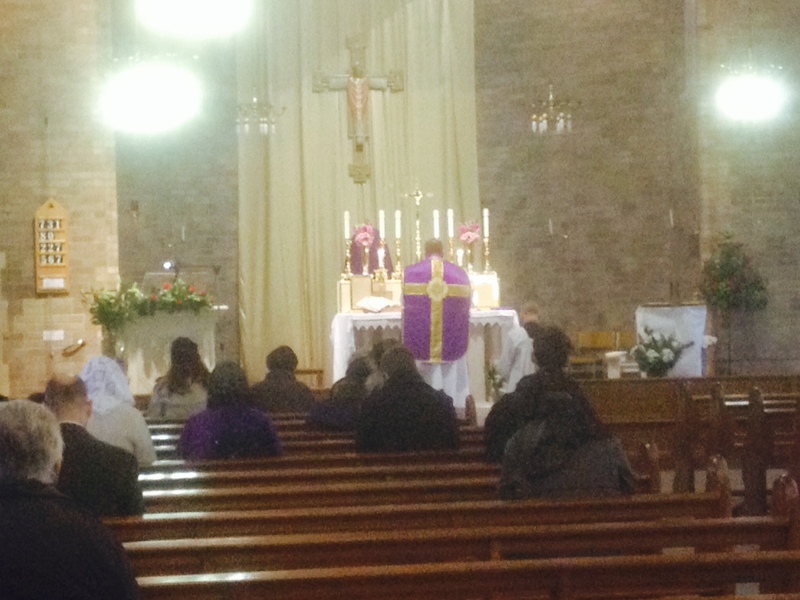 Alldrit’s Mass the week before, on 10th Jan. Happy New (calendar) Year to everyone – Mass in Bedford consinues to attract new people, especially at Christmas, when Fr. Diaz celebrated Mass. Confessions were heard last Sunday as well, and will continue to be heard every week before and after Mass. – Christ the King is a brisk half hour walk from Bedford Mainline station, or else a short taxi. If you need a lift, please get in touch – bedfordlatinmass@gmail.com. Someone will always be able to give you a lift back to the station.